^ 2.0 2.1 2.2 2.3 Hopkins, Antony. 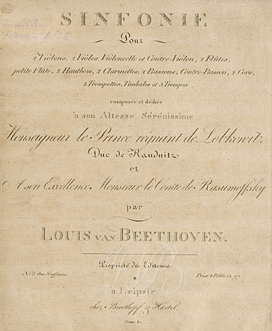 The Nine Symphonies of Beethoven. Scolar Press, 1977. ISBN 1-85928-246-6. ^ Nottebohm, Gustav (1887) Zweite Beethoviana. 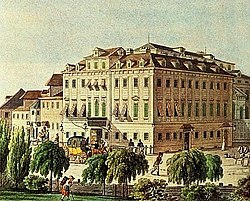 Leipzig: C. F. Peters, p. 531. ^ Beethoven's Instrumental Music, E. T. A. Hoffmann, 1813. ^ Moss, Charles K. Ludwig van Beethoven: A Musical Titan 互联网档案馆的存檔，存档日期2007-12-22..
^ Symphony No. 5 in C minor, Op. 67 by Richard Freed 互联网档案馆的存檔，存档日期2005-09-06. ^ Wyatt, Henry. 存档副本. [2008-09-10]. （原始内容存档于2006-09-01）. . Mason Gross School of Arts. ^ Kallai, Avishai. Revert to Eggert. [2006-04-28]. ^ Tovey, Donald Francis (1935) Essays in Musical Analysis, Volume 1: Symphonies. London: Oxford University Press.